"I am truly sorry to learn of O.D. 's passing. I had a..."
"We are so very to hear of Mr. Dougs passing. Please know..."
Mr. Oran Douglas Rodgers, 83, of Baton Rouge, LA died Sunday, September 9, 2018, in Jackson, LA. Mr. Rodgers worked in consumer lending for many years in the Baton Rouge area. He served in the United States Air Force and was a member of Comite Baptist Church. He was preceded in death by his wife, Nancy Rodgers. 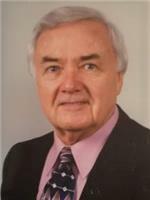 He is survived by his four children, Debbie Stanley (Truman) of Walker, LA, Sharon Blackmon (Bill) of Denham Springs, LA, Rodney Rodgers (Karen) of Kings Mountain, NC, and Kim Forth of Murfreesboro, TN; two sisters, Kathleen Holland of Chamblee, GA, and Linda Smith of Cornelia, GA; 12 grandchildren; 7 great-grandchildren; and numerous other family members. Visitation will be from 5:00pm to 8:00pm Thursday, September 13, 2018 at Greenoaks Funeral Home, 9595 Florida Blvd, Baton Rouge, LA 70815. Services will be at 10:00am Friday, September 14, 2018, at Greenoaks Funeral Home. Interment will follow in Greenoaks Memorial Park, 9595 Florida Blvd, Baton Rouge, LA 70815.